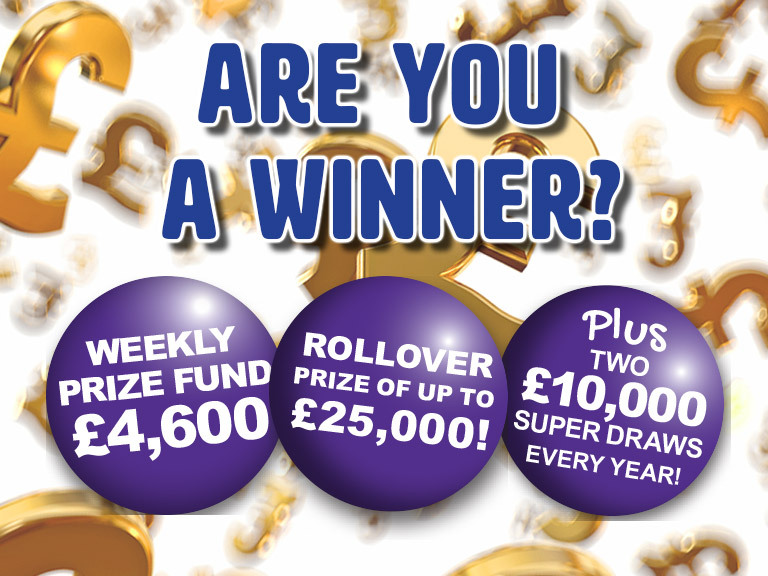 Every week (on a Friday, unless it happens to be a bank holiday, in which case the draw will take place on the Thursday before) the lucky winners are randomly selected by our Lottery System. You don’t need to worry about checking your numbers as winning cheques are sent out automatically by post, within days of the draw taking place. If you win a prize of £1,000 or more – we’ll phone you first to give you the good news and check that the address we hold for you is still correct. However, if you’d like to check your unique game number(s) to see if you’ve won a prize in the last 12 Months, you can do so by using our Results Checker on the right. But whether you’ve won a prize yet or not, remember that you’re always a winner in our eyes! Sorry you haven't won yet. Thank you for your support and good luck in future draws!